The Schoolhouse Cottage is a perfect destination for exploring Leelanau County. Easy walk to town for coffee, shopping, and some of the area's best restaurants. 5 minute walk to the sugar-sand beaches of Suttons Bay. Right on the Wine Trail for Wine Tasting Weekends! The Schoolhouse Cottage, a stylish, historic home in the heart of Suttons Bay Village, sleeps 8-10. 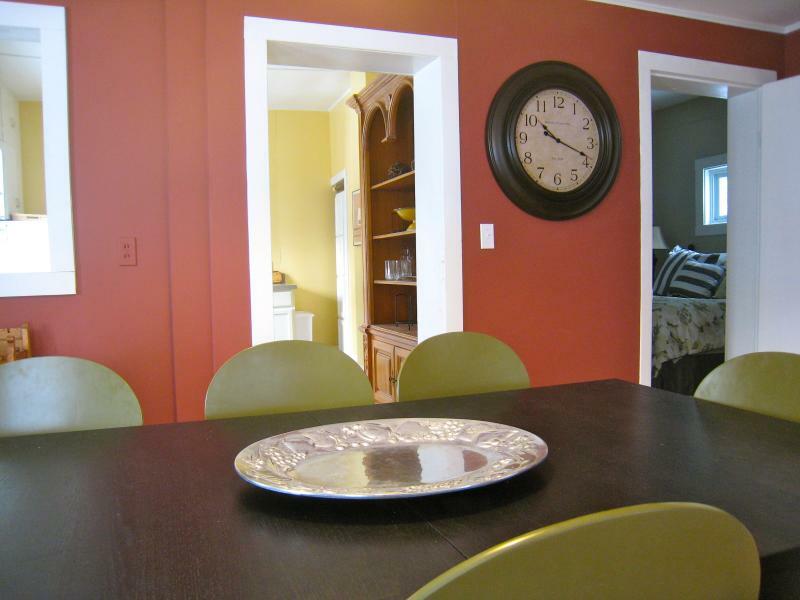 Enjoy 4 bedrooms, 2 full baths, an upstairs sitting room and an elegant living and dining space. The outdoor eating area with grill overlooks a perennial garden and pocket views of the bay. Designed for vacation living, this home offers spacious rooms, updated décor, central A/C, wireless internet, and cable. 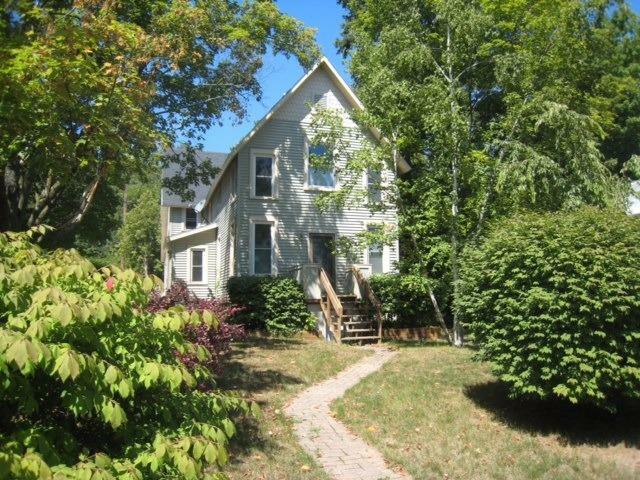 It's easy walking distance to everything that the Village of Suttons Bay has to offer; sandy beaches, playgrounds, bask...The Schoolhouse Cottage is a perfect destination for exploring Leelanau County. Easy walk to town for coffee, shopping, and some of the area's best restaurants. 5 minute walk to the sugar-sand beaches of Suttons Bay. Right on the Wine Trail for Wine Tasting Weekends! The Schoolhouse Cottage, a stylish, historic home in the heart of Suttons Bay Village, sleeps 8-10. Enjoy 4 bedrooms, 2 full baths, an upstairs sitting room and an elegant living and dining space. The outdoor eating area with grill overlooks a perennial garden and pocket views of the bay. Designed for vacation living, this home offers spacious rooms, updated décor, central A/C, wireless internet, and cable. 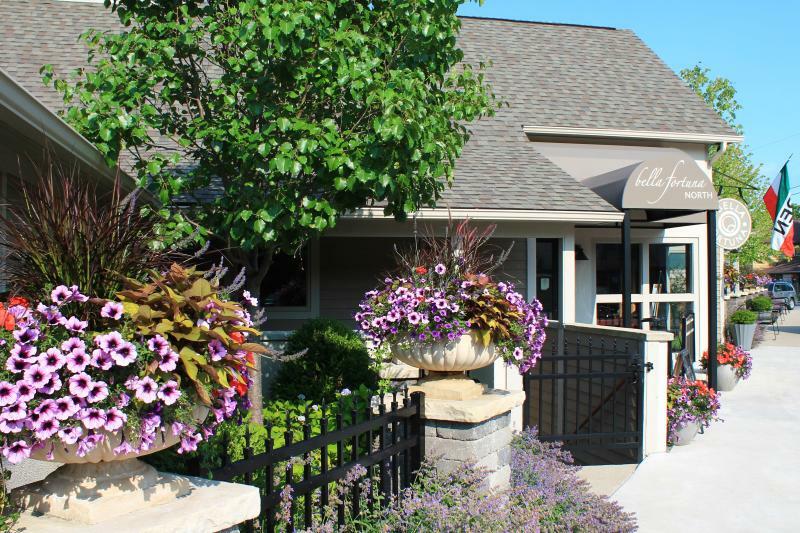 It's easy walking distance to everything that the Village of Suttons Bay has to offer; sandy beaches, playgrounds, basketball and tennis, the Marina, top-notch restaurants, and great shopping. Suttons Bay is ideal for families of all ages. Walk to the wide sandy beach of Grand Traverse Bay, just 2 blocks away, where you can watch the sailboats and kids can play on the playground and swim in the calm water. Teens can bike throughout the town or walk to the town's tennis, volleyball, basketball courts and marina park. Bike-enthusiasts love the TART railroad trails which pass right thru Suttons Bay. Everyone will enjoy evening strolls through town, savoring Moomer's ice cream, window shopping or catching a film at The Bay Theatre. The Schoolhouse Cottage is well-located on the Leelanau Peninsula Wine Trail, with easy access to the premier wineries. It's just a short drive to explore the highlights of Leelanau County; Leland, Lake Leelanau, Northport, Glen Arbor and the Sleeping Bear Dunes National Lakeshore. Our Sunday to Sunday rental is ideal for wedding parties. Easy keyless entry allow freedom to arrive on your schedule. Leelanau County is beloved for sugar sand beaches on Lake Michigan, hiking trails with stunning views, scenic biking throughout the cherry tree farms, a vibrant winery and microbrewery industry, and excellent cuisine with a farm to table focus. Many top-notch golf courses in the area, a casino, and easy access to Traverse City and the Sleeping Bear Dunes under 20 minutes from Suttons Bay.